Thanks again to Bob Brown of Media Direction for the featured photo. 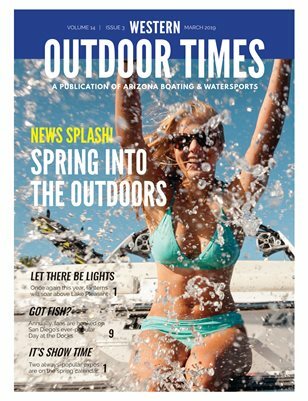 The "cover girl" for this issue shows the form for fun in the water as the weather warms. Yes, it's Boating season again in the Southwest, and the Lake Havasu Boat Show is the place to be to get a head start on what's new in craft and accessories this year.